Apple secures 'sports monitoring system' patent for headphones | What Hi-Fi? Tech giant eyes move into health and fitness tracking market with new system to measure biometric data with "headphones, earbuds or headsets"
After bringing you the news last week that Bragi's "world first" smart headphones will be able to track your movement, Apple looks to be making its own move into the health and fitness wearables market. The Cupertino tech giant's CEO, Tim Cook, promised the introduction of new product categories this year during a conference call that accompanied the publication of Q4 2013 results late last month. A new smartwatch – iWatch – is considered by many to be the most likely new product launched by Apple during the next 12 months or so, while the introduction of a new smart TV platform can't be ruled out either. 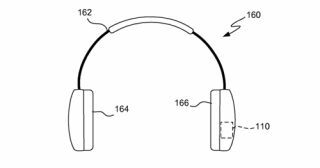 But the US Patent and Trademark Office has also awarded Apple a patent for a "sports monitoring system" that can be used with "headphones, earbuds and/or headsets" and sense a variety of metrics. Apple said in its description of the system that current products – like Nike+iPod – track the speed and distance of users, and also include a module in the shoe that work with the digital media player. But the new system is placed near the head/ear and can work with a hearing device, tracking physical activity. It will also have the ability to monitor biometric data – including temperature and heart rate. It isn't detailed in the patent's Application Number how such biometric data will be recorded, but Apple does outline a number of potential "embodiments" for the monitoring system if it becomes reality. Apple's freebie headphones were never much good, though the company's Apple Earpods did improve matters a touch, but could a next-gen Apple earbud step things up a notch? We shall see.